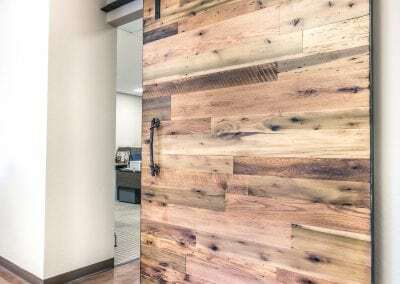 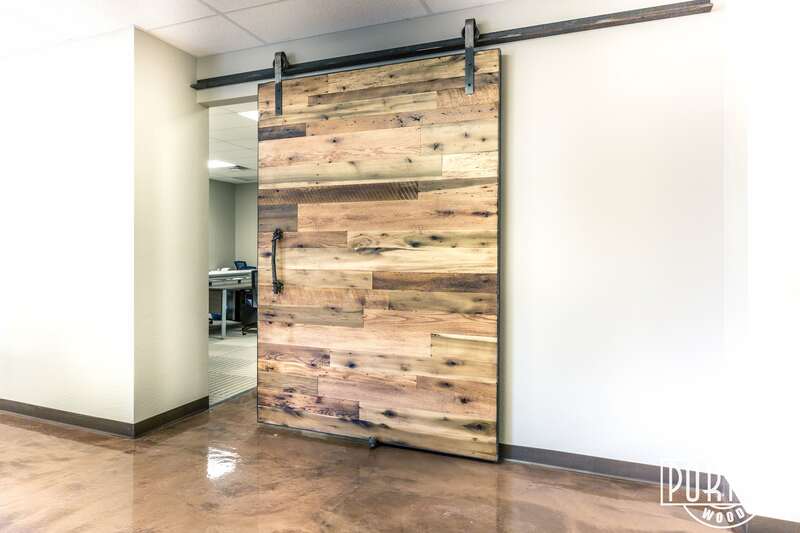 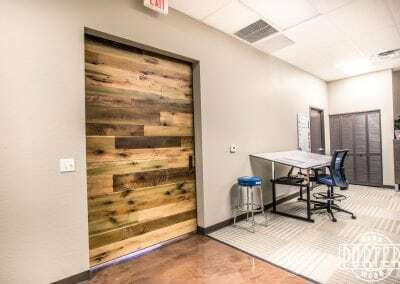 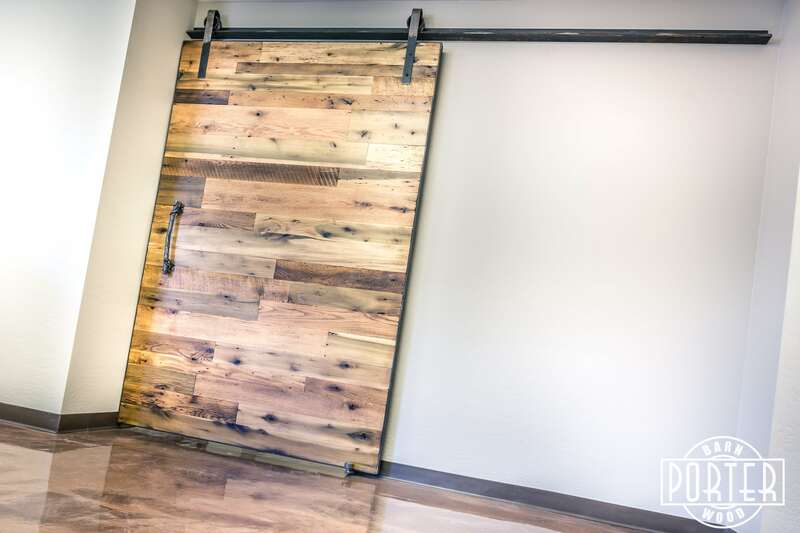 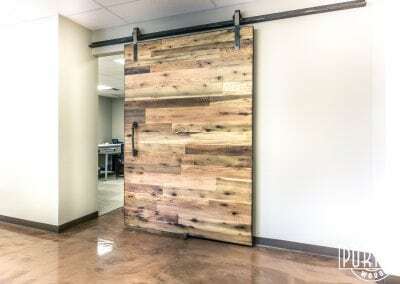 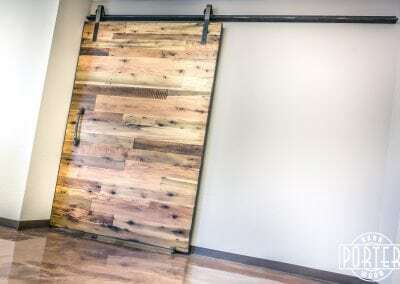 Naturescape contacted us to build them a custom door for their office. 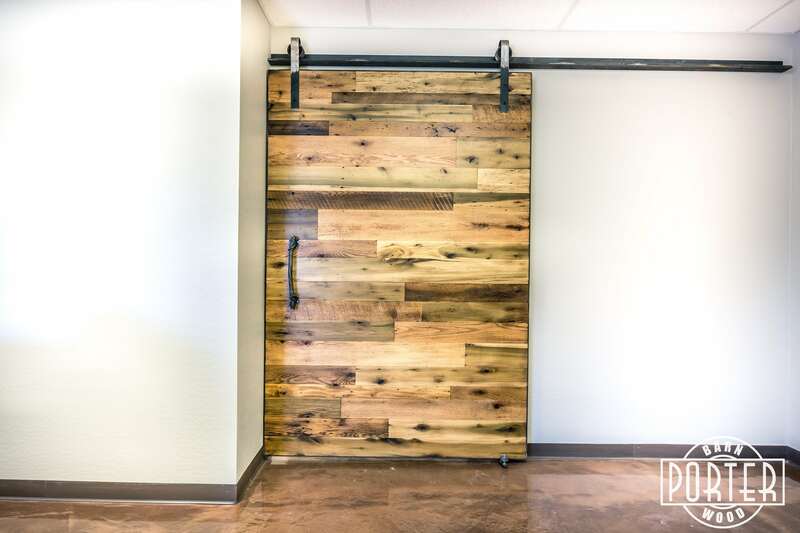 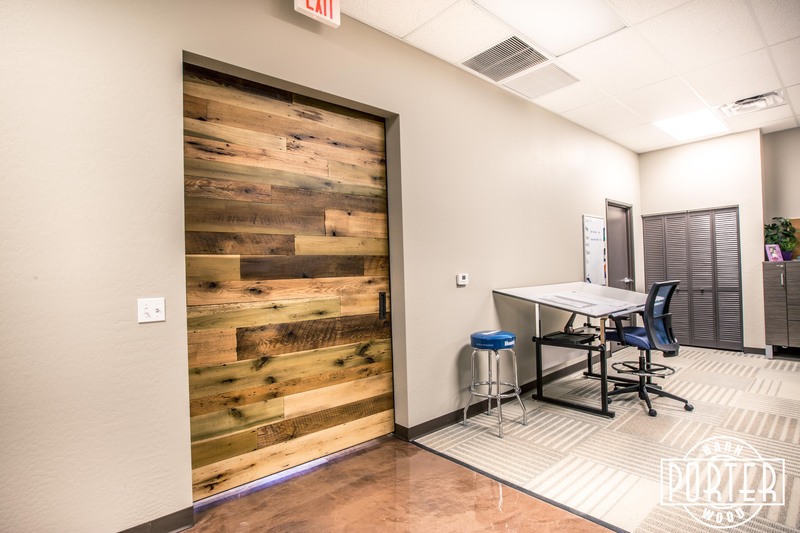 The door makes a statement as you enter their office space. 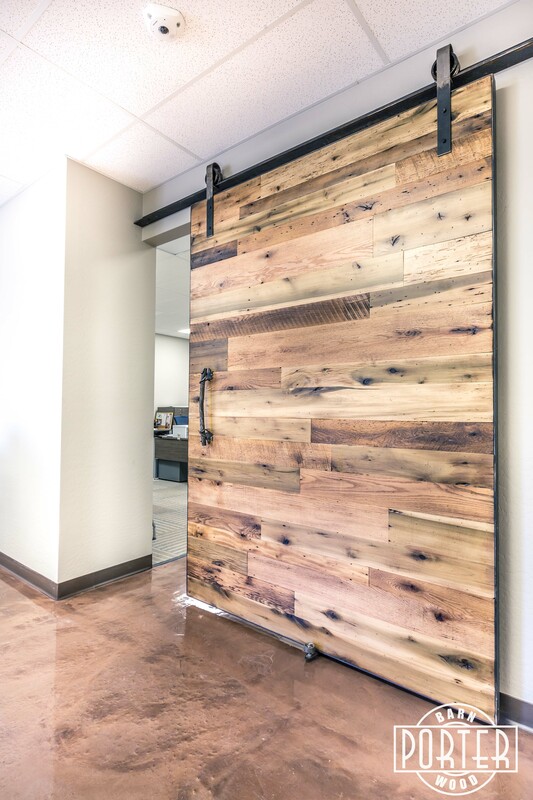 The door is made from our Tobacco Barn Brown material. 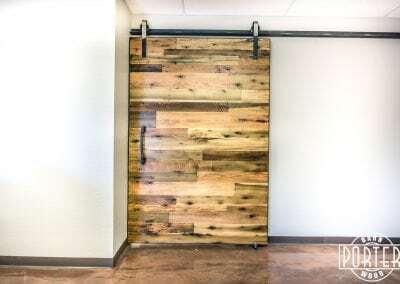 For this particular application the wood is sanded to 100% smooth and has a Dirty Brush Clear finish, this helps the green in the reclaimed poplar stand out.